Hormel Foods has been a household name for decades—with iconic brands that span the length and breadth of the grocery landscape in general and the deli aisle in particular. The past three years have seen the company grow and expand its presence in fresh food through major acquisitions, various initiatives and new product offerings, and most recently through efforts to restructure its deli operations under a single rubric. 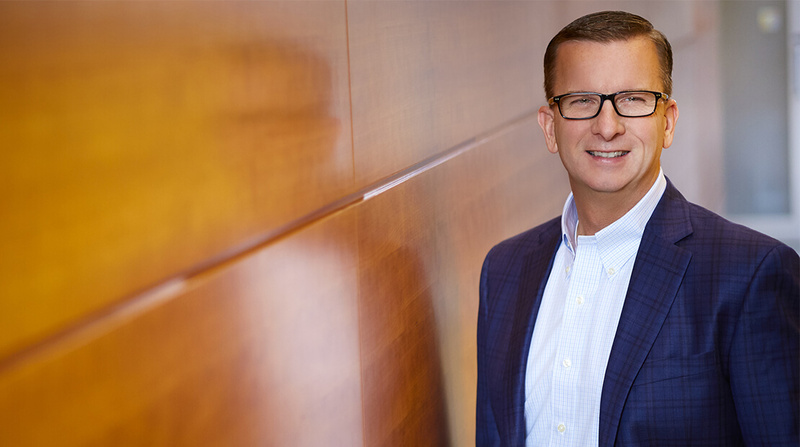 I recently had the opportunity to check in with Jeff Baker, the company’s current Group Vice President of Foodservice, to learn more about the company’s plans for 2018. Jeff was recently appointed to the newly-created role of Group Vice President, Deli, leading a newly-consolidated deli division and steering an impressive portfolio of brands—including Hormel®, Applegate®, and the recently-acquired Columbus® Craft Meats—as Hormel Foods works to build its presence in the growing deli category. Tell me a little about your new position and Hormel Foods’ recently-announced decision to create a Group Vice President, Deli position: what prompted the new role? What sorts of administrative changes will we see as a result? My role will consolidate all deli sales into one highly-focused division, reporting into our Refrigerated Foods business segment. We will be able to leverage our foodservice strategy and our broad portfolio of deli products under multiple industry-leading brands such as Hormel, Applegate, Columbus Craft Meats, and Jennie-O® turkey products. We will partner with our retailers to bring them value-added products and industry-changing innovations. The bottom line is we view the deli as a high-growth areaand have great solutions for retailers to capitalize on that growth. Administrative changes will be minimal. While some accounting tasks will be streamlined, for the most part we will function as we have. Throughout 2016 and 2017, Hormel seemed very focused on expanding its retail deli presence—through various initiatives and high-profile acquisitions including the acquisition of Columbus Craft Meats; what can we anticipate in terms of growth in the company’s deli portfolio in 2018? Hormel Foods has always had a strong portfolio across many segments of the deli, but the acquisition of Columbus Craft Meats helped us close some of those gaps with items like charcuterie trays and high-quality artisanal meats. Moving forward, our unmatched array of deli brands and products will allow us to provide strategic solutions for our customer partners. How has the deli category shifted in recent years? Where do you see specific opportunities as the deli space continues to grow and evolve? The deli of the past is not the deli of the future. For example, millennial shoppers have a very different expectation for their deli visit than Baby Boomers and customers of previous generations. In-store restaurants, for example, have made the deli more approachable and have expanded their consumers’ likelihood to try the deli. Our deep experience in the foodservice industry allows us to provide culinary and menu trend information as well as product solutions that deliver. Generally, we see the deli as a continued area of growth and cannot wait to work with our retailer partners to help grow the category.